Imprint Method: Pad Print - Give your brand a lasting impression during the next promotional campaign with this 5 in 1 Ultimate Emergency Companion. 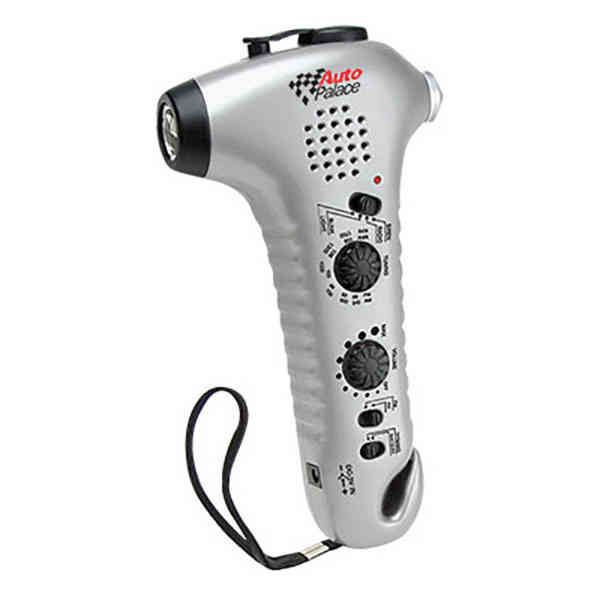 Features: AM/FM emergency flashlight radio that is powered by a rechargeable built in dynamo hand crank system, siren and a fluorescent light that is built into the unit's unique rotating handle. The unit can also be powered by 4 AA batteries (not included). It can be customized with an imprint of your company logo and message for heightened brand exposure. Tunes.